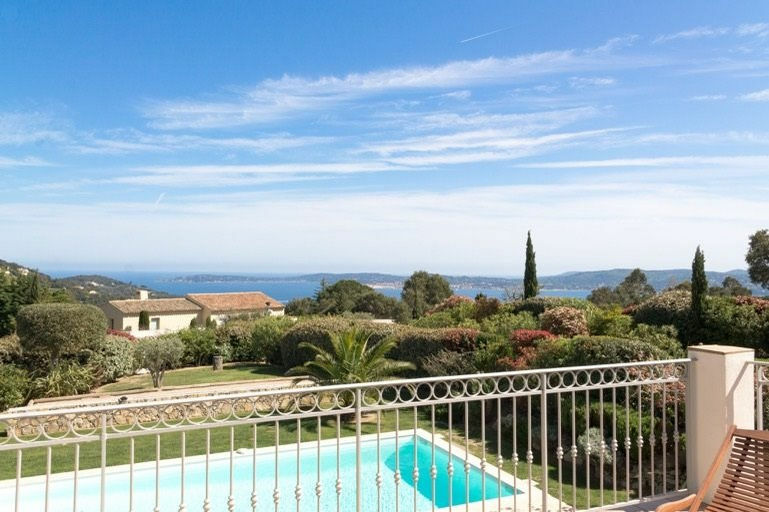 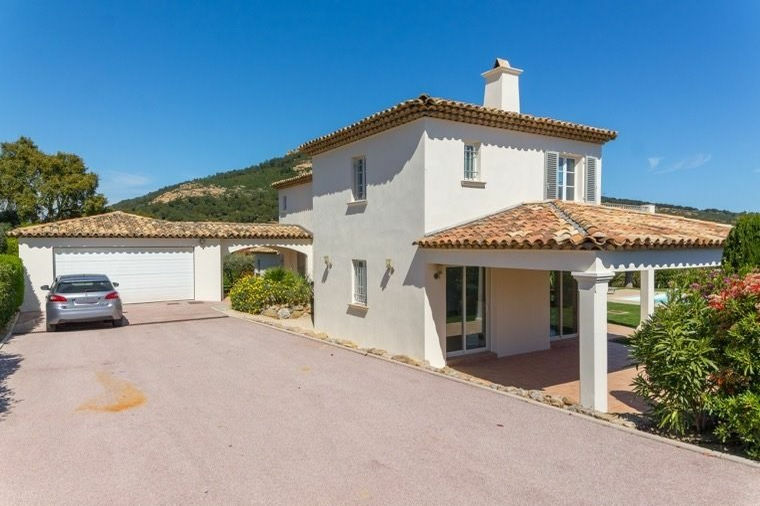 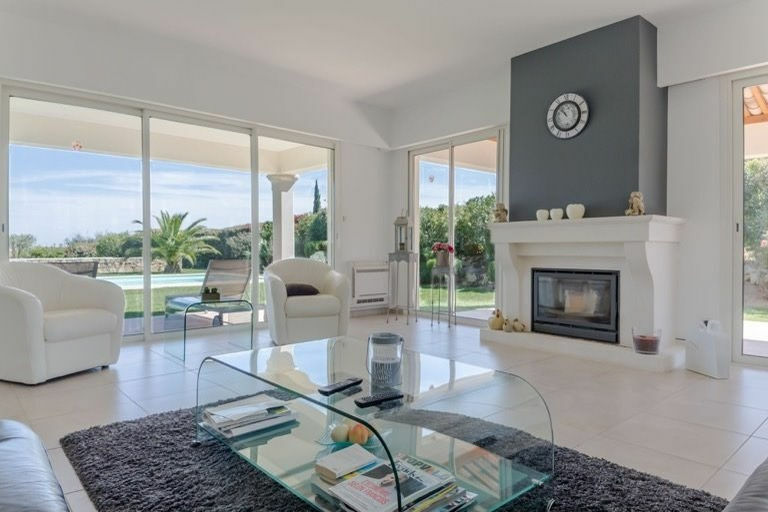 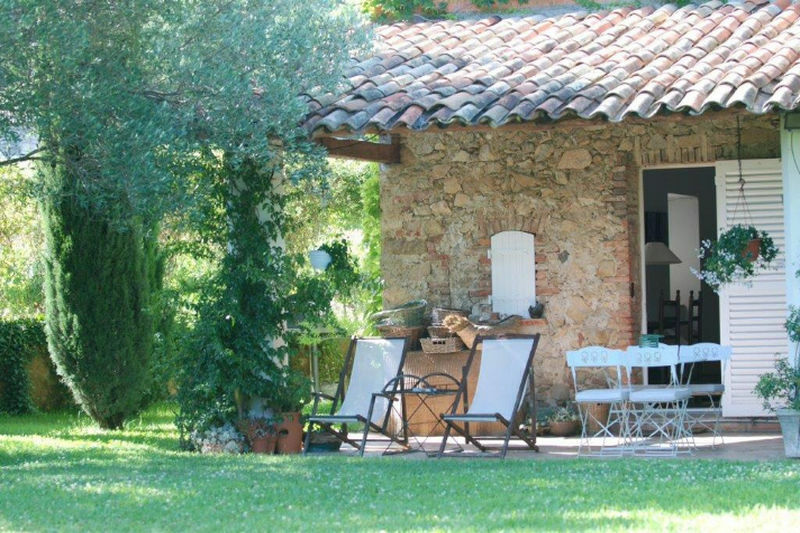 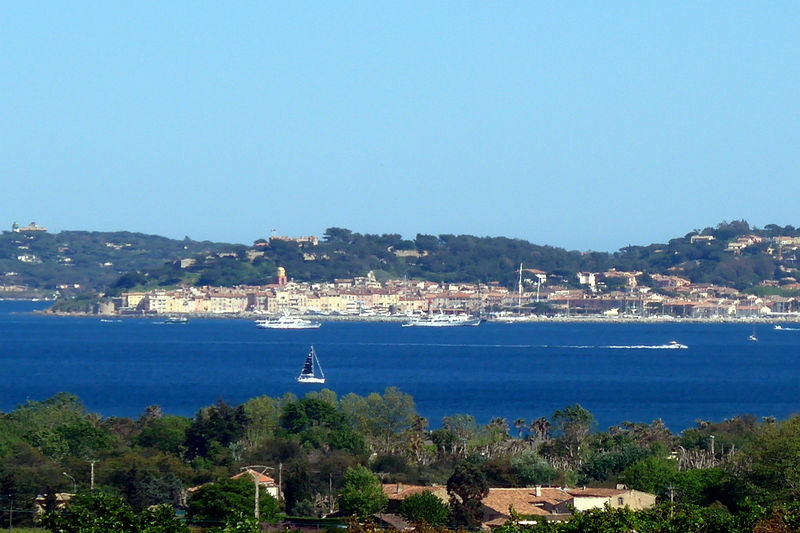 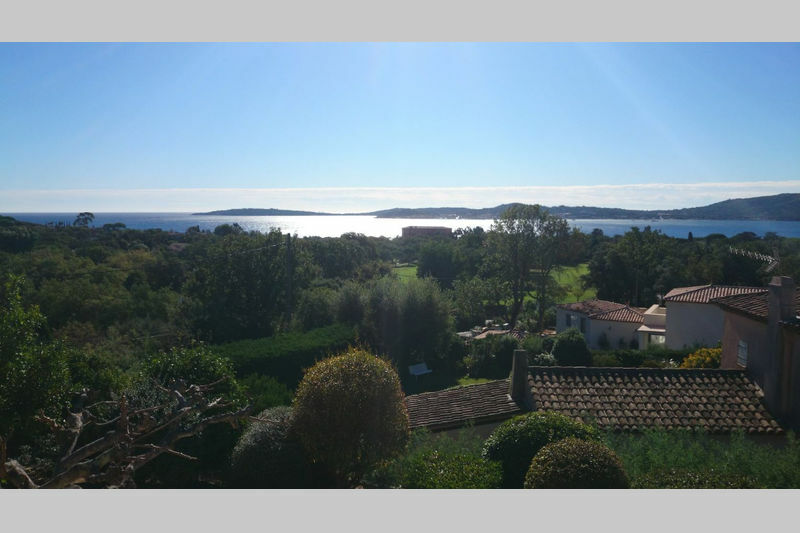 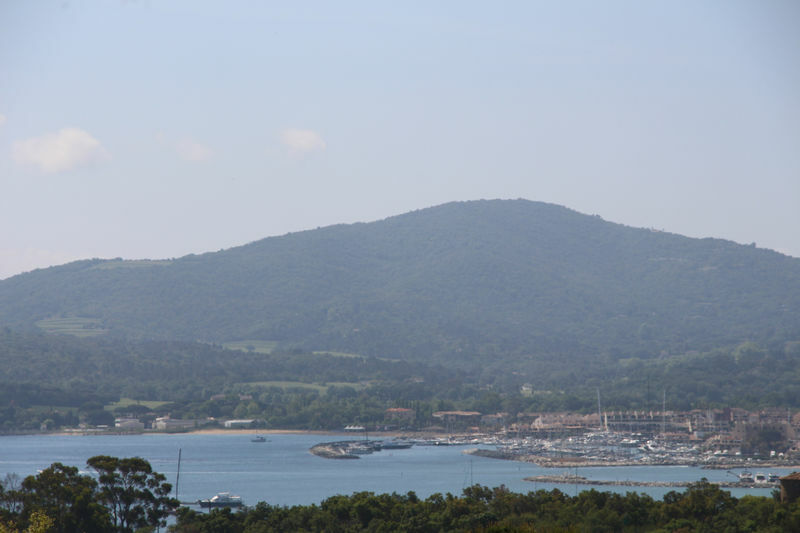 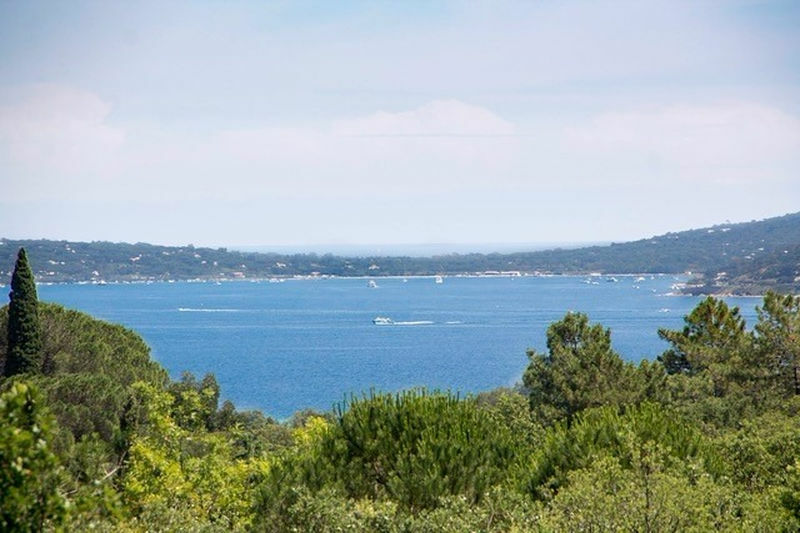 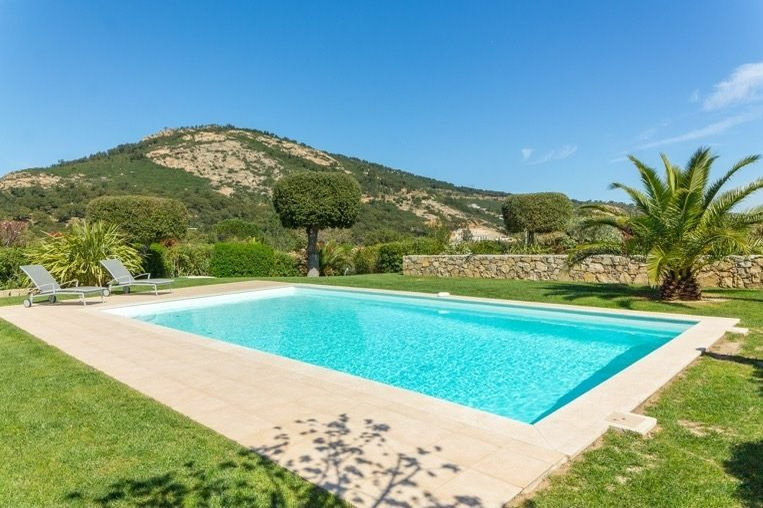 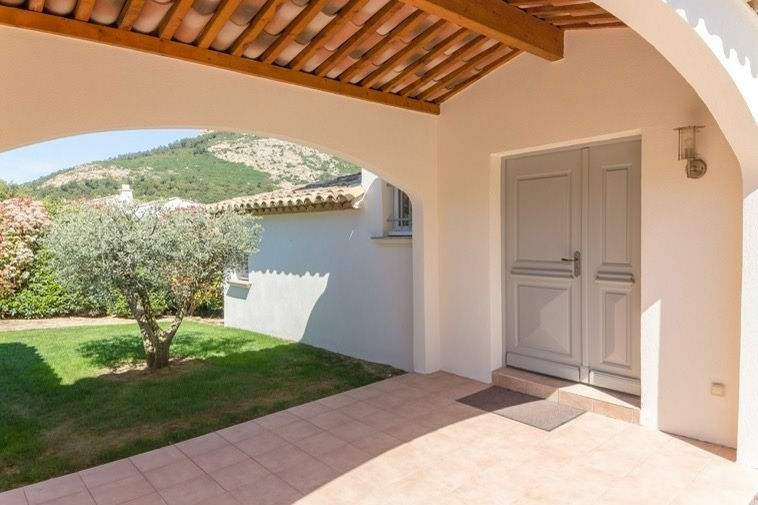 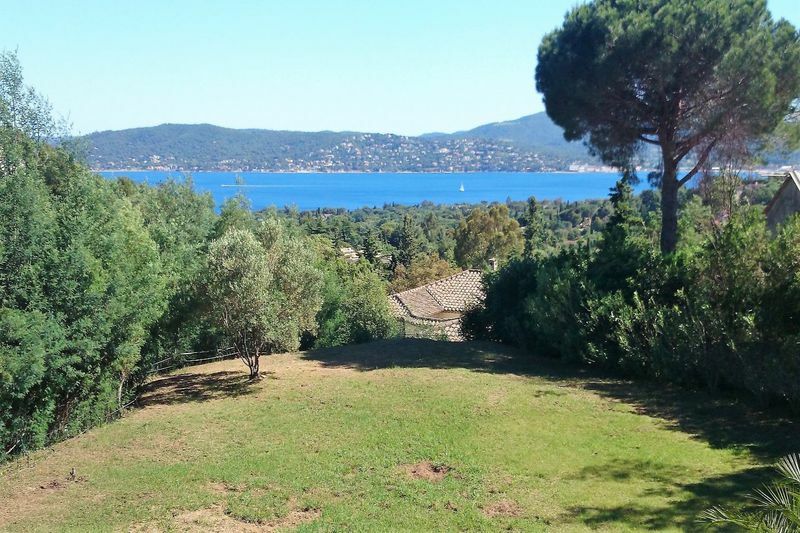 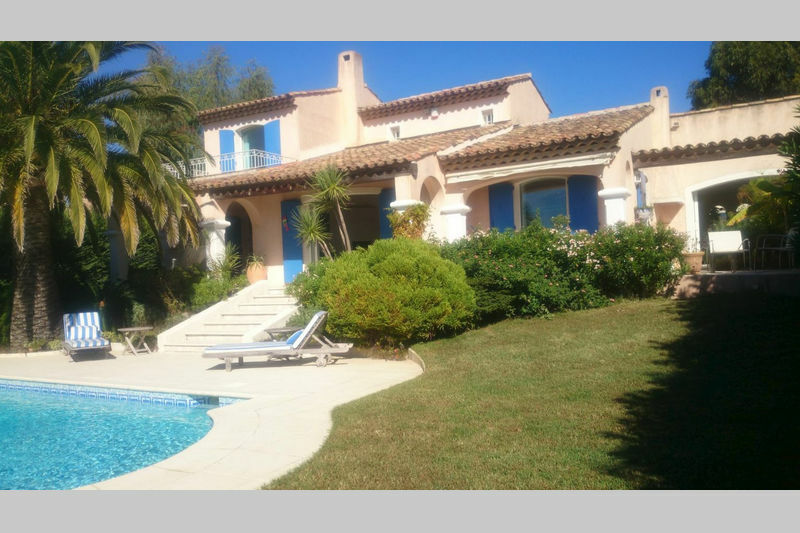 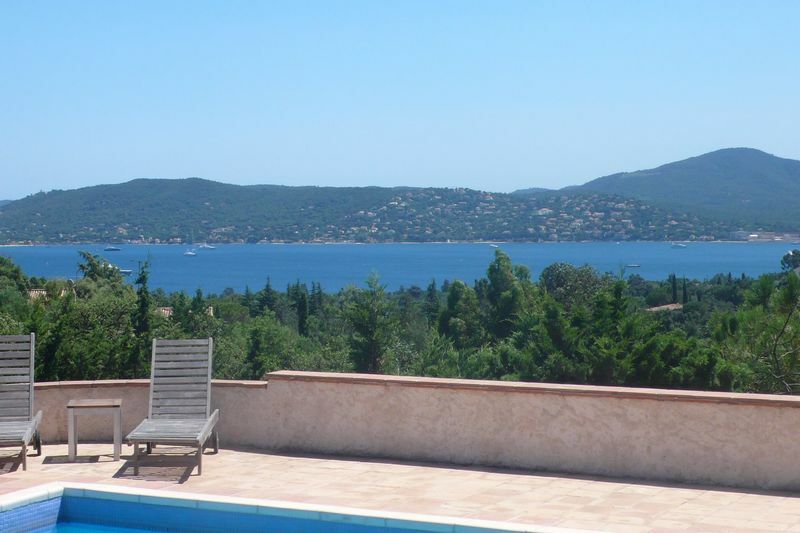 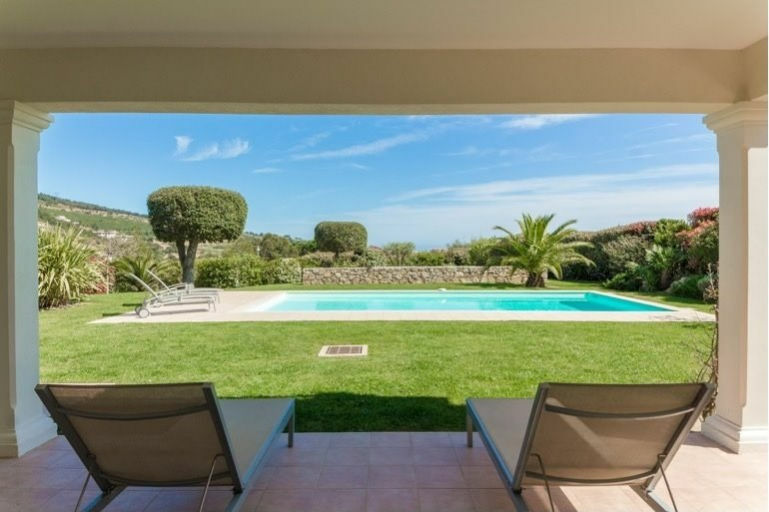 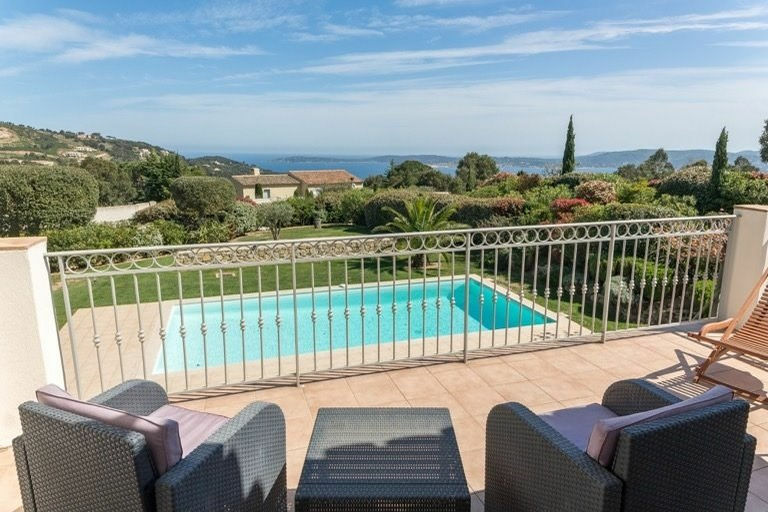 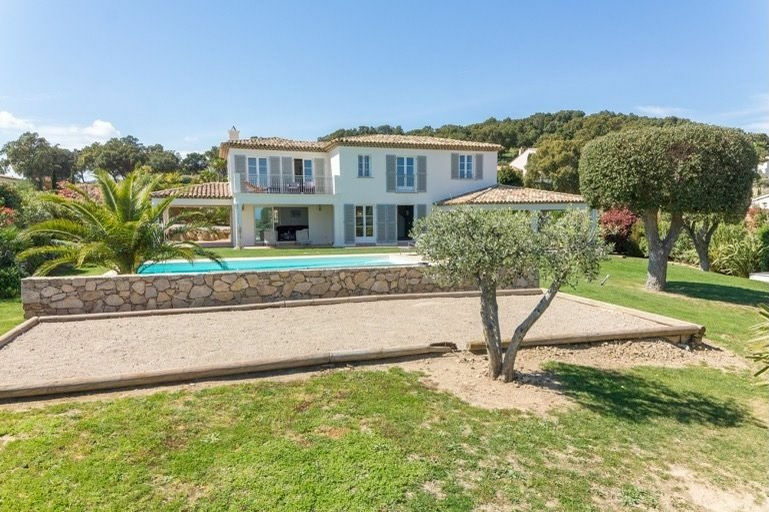 GRIMAUD: Located in a secure domain, not far from the beaches: Beautiful recent villa with a nice sea view. 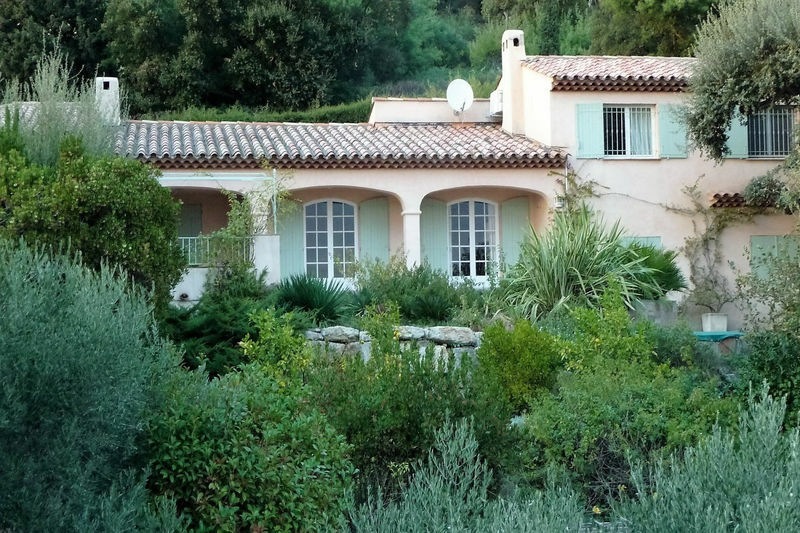 The villa comprises 230m ² on a plot of 2500 m2. 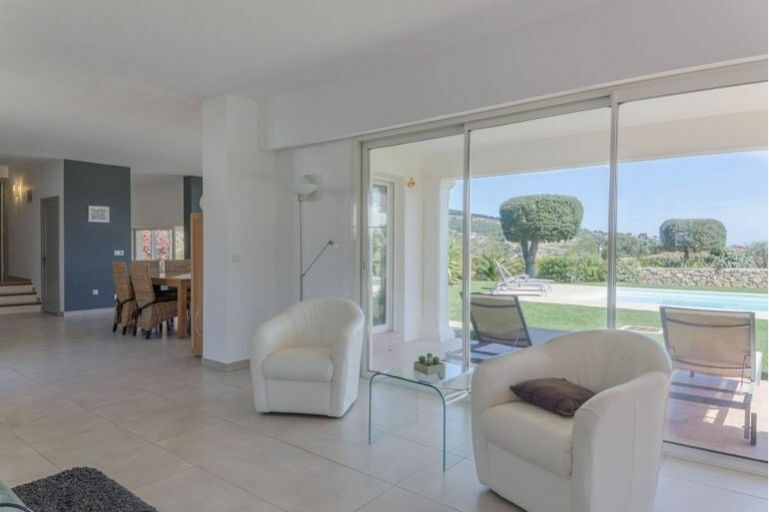 It offers, on the ground floor: large living room/dining room, with open fire, opening onto 2 terraces; a separate, equipped kitchen, a bedroom with bathroom, with access to a terrace. 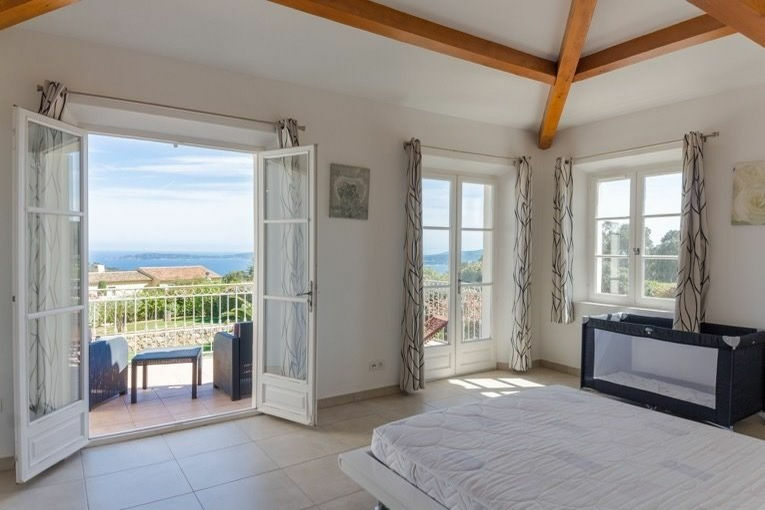 On the first floor, 2 bedrooms rooms with sea view, 2 shower rooms: The master bedroom with a terrace, solarium, dressing and a bathroom. 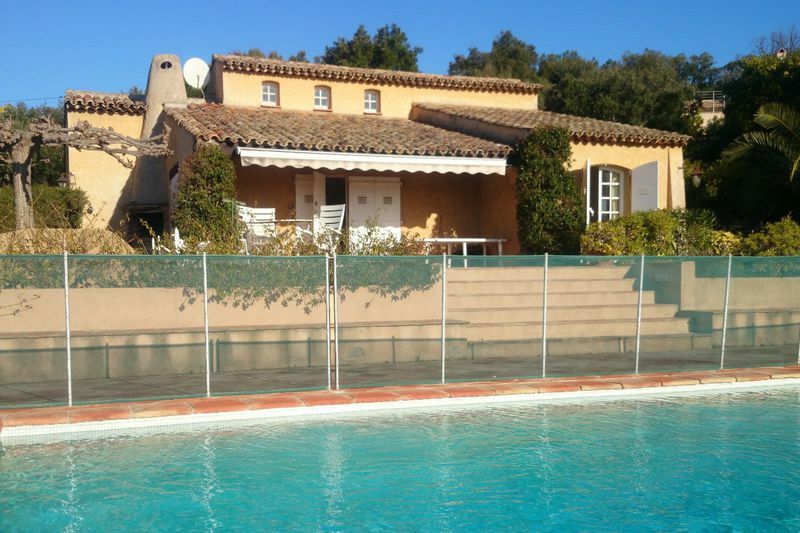 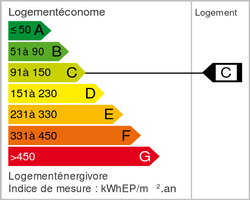 Heated pool, of 10m by 5m.